Remote sharing is at its peak nowadays. People use remote sharing to provide live support or to share screens. Most of us use a third party software for sharing or controlling remote systems, like Teamviewer or Radmin. Today I am going to teach you how to connect any two (or more) windows PCs through remote, without using a third party too. As we all knows Windows OS is full of hidden programs that are only limited to developers or geeks. Today we are going to learn about MSRA (windows remote assistance) executable. MSRA is windows inbuilt remote assistance program which you can use to control remote PCs, share remote screens, provide remote support, and much more. Lets learn how to use MSRA for remote sharing. a. Invite someone you trust to help you: Choose this option if you want to share your screen with someone. b. 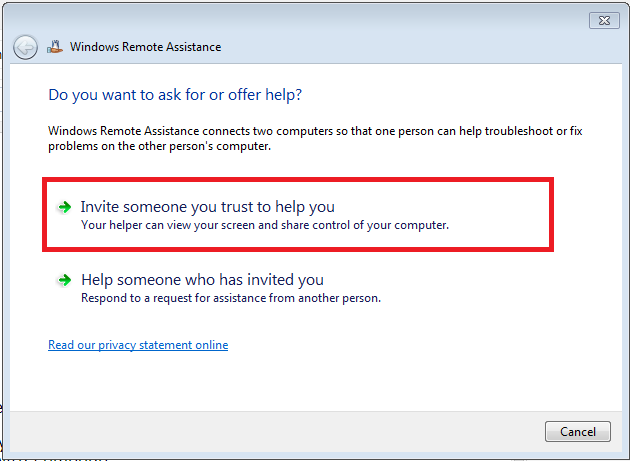 Help someone who invited yo : Choose this option if you want to control someone others PC remotely. a. Send this invitation as file: On clicking this option you can save the invitation file and send it to anyone from which you require help. 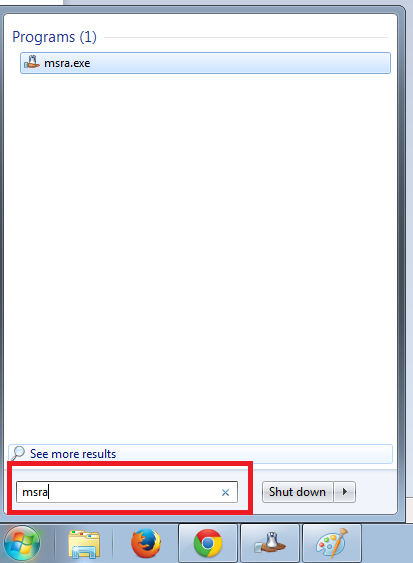 After saving the file, another window will open containing the password. You have to provide that password to the person whom you want to connect to your machine. b. Use email to send an invitation: You can send the invitation directly via email, but it requires an email client, like Outlook, on your machine. 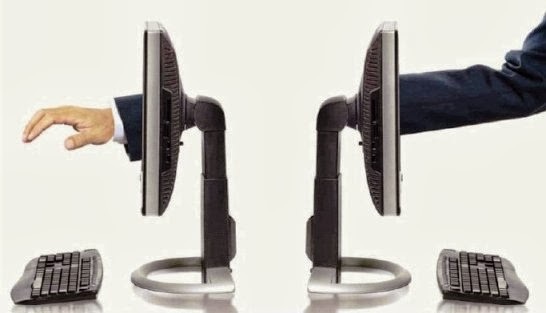 c. Use Easy connect: Another method to directly connect two PCs is using Easy Connect, but this requires some basic settings at your routers end. If the computer has IPv6 disabled or is behind a NAT router that blocks Teredo traffic, the Easy Connect option will be unavailable. 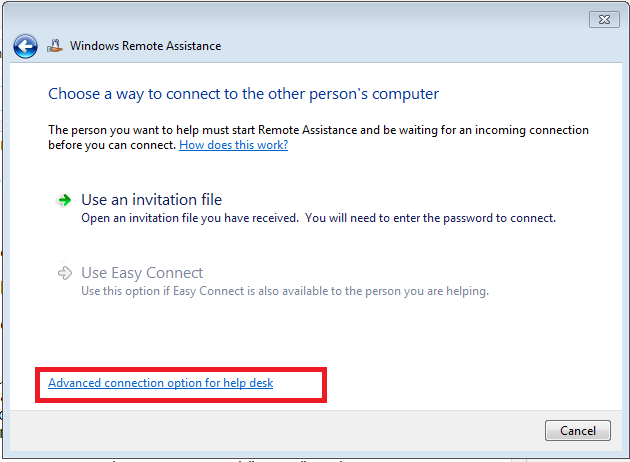 Now once you have send the remote assistance invitation file to the other user, he can connect to your PC by double clicking the invitation file and then entering the password. 3. 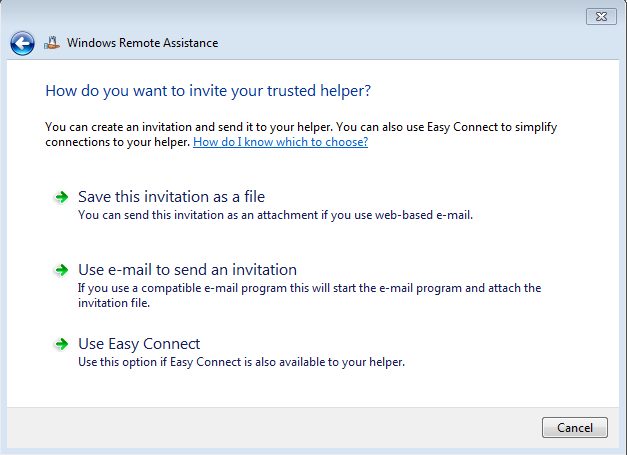 Help someone who invited you: By clicking this option you can provide help to anyone who has done the above task. You will need two things: the invitation file and the password. 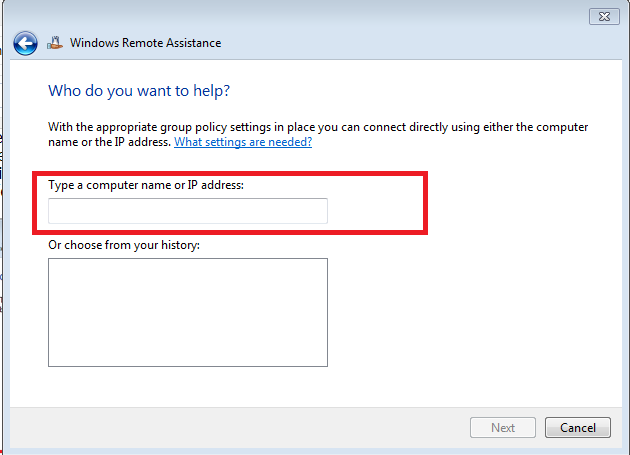 Did you know there is another option by which you can directly connect to any PC using IP addresses? Let’s learn that too. 1. First, click on startup and type command “MSRA” and press enter. After entering the IP address, press “next” to connect to the IP address. The last option, connect computer using the IP. Does the other side see anything when i make the request to connect to his/her IP? will there be any windows popping up so that he/she should verify the connection from that side?